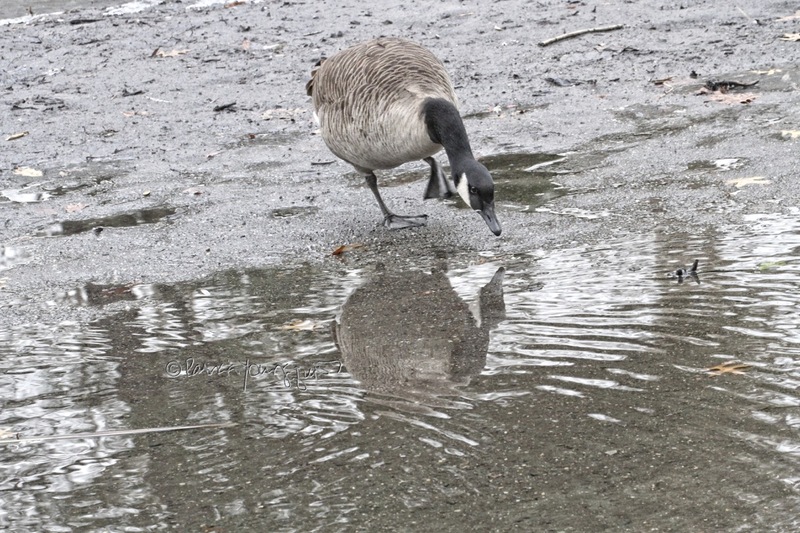 .... are ones I took of a Canadian goose who I happened upon while walking in Central Park a few weeks ago. 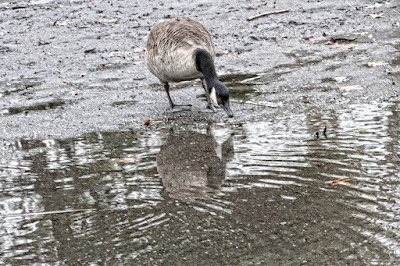 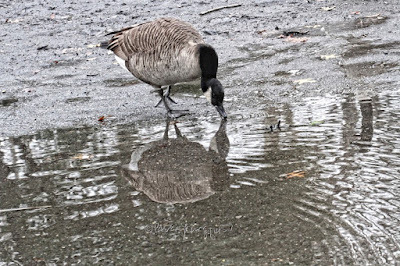 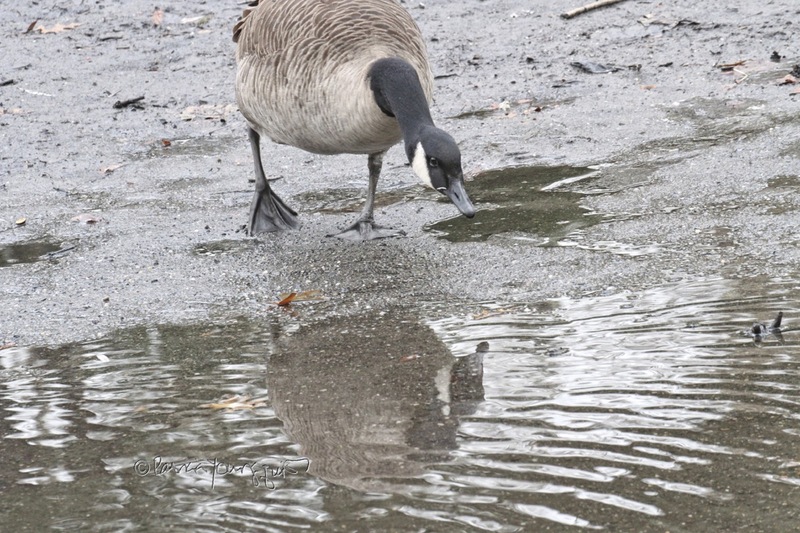 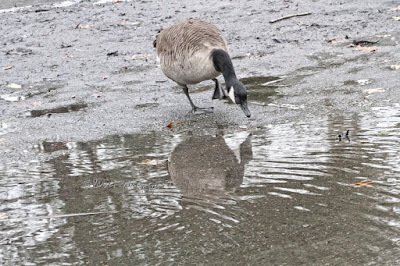 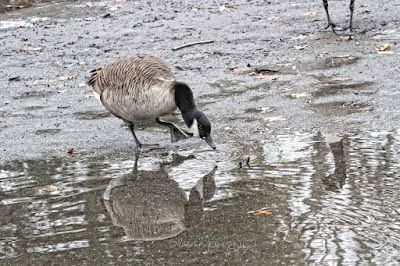 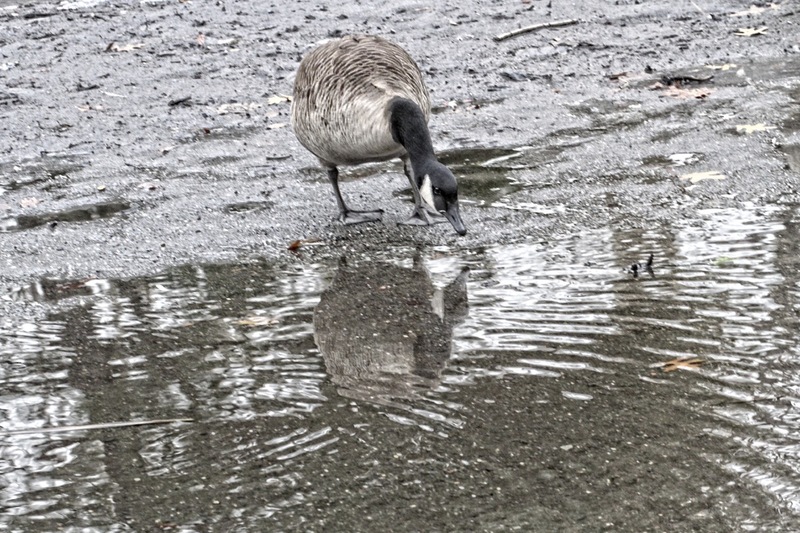 I was intrigued by how he/she seemed to be engaging with his/her reflection in The Pond and had hoped to find out (via Internet research) if Canadian geese recognize their own reflection. 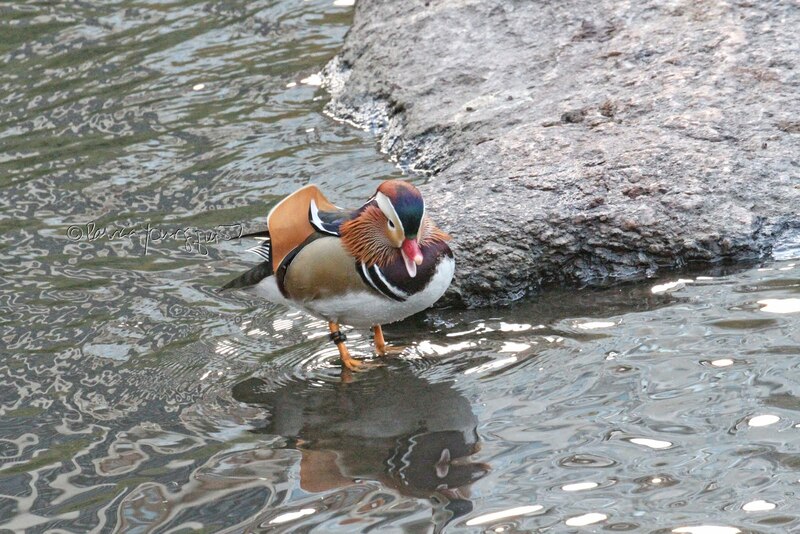 Most birds do not recognize their own reflection which is something I've discussed in relation to the Northern cardinal and the "famous" Mandarin duck. 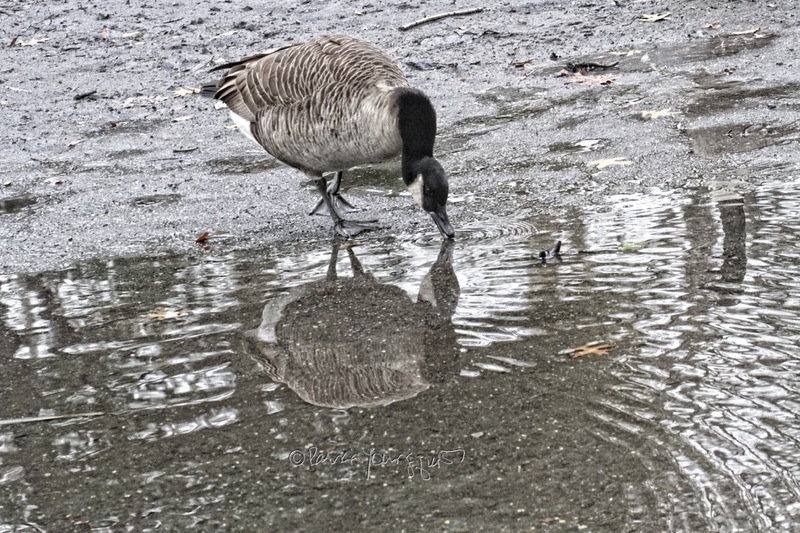 Neither of those birds recognize their reflection and the same seems to be true for Canadian geese. 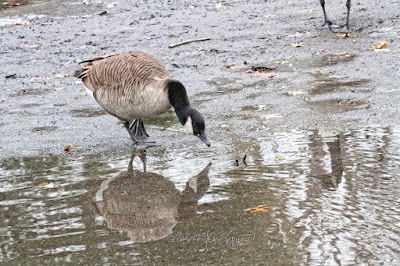 However, in my research to learn if Canadian geese see their reflection, I did come across an interesting You Tube video (which I've posted below) re their behavior and it is perfect to offer as Wednesday's Wisdom! 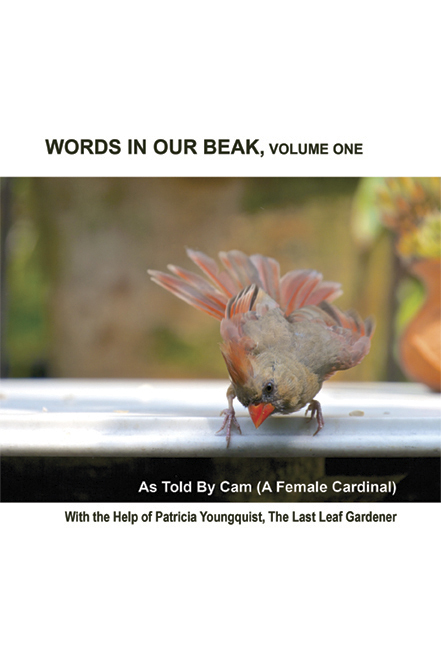 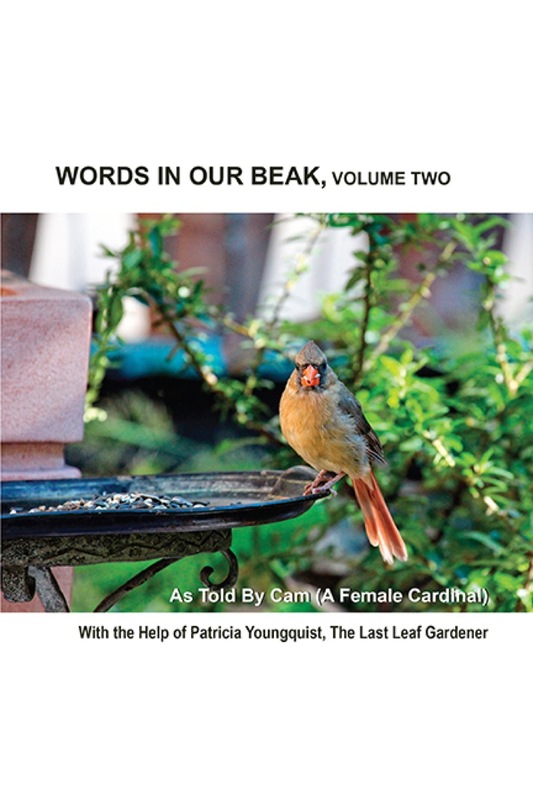 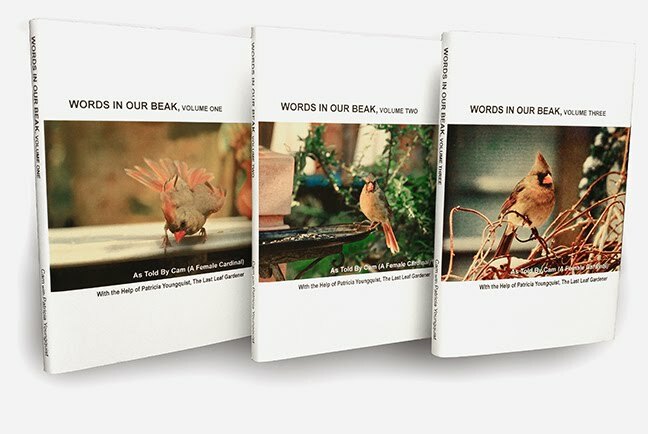 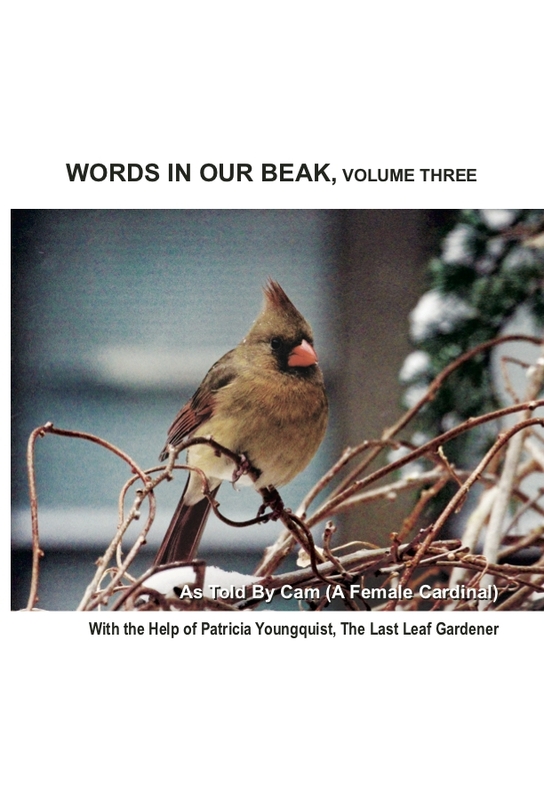 Btw, Canadian geese are featured in volume two of my book series, Words In Our Beak.